Asuncion (AFP) - Mudslides have killed at least four people in Brazil, one of several South American countries where torrential rains and flooding now have claimed at least 10 lives, officials said on Sunday. 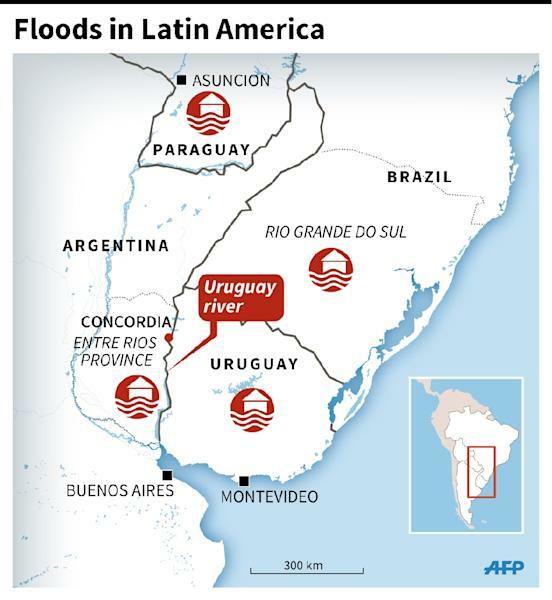 The epic rainfall also has driven 160,000 people from their homes in Paraguay, Argentina and Uruguay, said officials. Authorities said fatalities from the current violent weather include two deaths in Argentina and four in Paraguay. The director of Paraguay's weather service, Julian Baez, said his nation has been deluged by the precipitation, which so far shows no signs of letting up. "The Paraguay River has swollen almost to eight meters. Not even the most dramatic forecasts called for that in December," Baez told a briefing. If rains continue to the north as forecasters expect, the flood levels could tie or pass their record nine meters in 1983, when the capital's busy port area was under water, Baez warned. This mostly rural nation of 6.8 million is by far the hardest hit by the flooding which scientists say is caused by an unusually strong "El Nino" pattern. In addition to at least four people killed by the weather, more than 140,000 have fled their homes, officials said. Meanwhile, driving rains in the metropolitan Sao Paulo area in southern Brazil let loose a mudslide that killed a total of four people in two homes in Itapecerica da Serra, state officials said. In Argentina, new President Mauricio Macri cut short his New Year's vacation at a resort and headed to hard-hit Concordia in Entre Rios province. In northeastern Argentina, two people were killed and about 20,000 were evacuated from their homes by flooding caused by a rise in the level of the Uruguay River, authorities said. 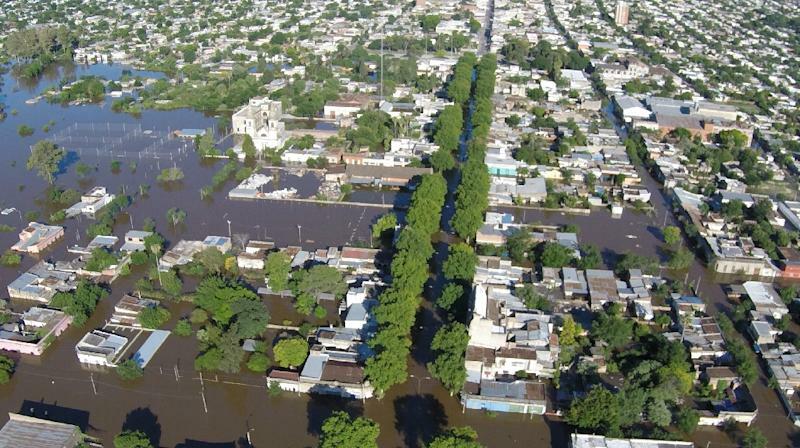 Entre Rios province was the worst off with about 10,000 people displaced, most of them in Concordia, a city of some 170,000 located on the banks of the river where officials said it was the most serious flooding in 50 years. "We have got to commit to real solutions," Macri said as the river there finally started to recede. Uruguay, between Argentina and Brazil on the South Atlantic, has had to evacuate more than 11,000 people. Its Artigas department near Brazil was the hardest his region of Uruguay, officials said. El Nino is the name given to a weather pattern associated with a sustained period of warming in the central and eastern tropical Pacific that can spark deadly and costly climate extremes. Last month, the UN's World Meteorological Organization warned the phenomenon was the worst in more than 15 years, and one of the strongest since 1950.